Mike Potts grew up in Pennsylvania and in 2005 moved to Arizona where he’s rarely cold and he doesn’t have to cut grass. Mike graduated from Bucknell University with a major in English and a minor in Chemistry. He worked at Barnes & Noble for four years where his greatest achievement was becoming “that guy.” (There’s a story there for later). Currently, Mike pays the bills as a nuclear medicine technologist (sounds impressive right? You put nuclear in front of anything and it sounds good. Nuclear Dog Food? Awesome!) This lets him write and photograph on the side without having to resort to living on ramen and sleeping on friends’ couches (however, in fairness he does like ramen and some of his friends have very comfortable couches). The rest of Mike’s time is devoted to his spouse and various cats ( including one indoor and three outdoor as of the time of this writing. That’s cats, not spouses). Mike’s ultimate dream would be to visit Mars. In the meantime he’s turning his focus (ha! photography pun) on family in-the-moment images and developing (another one, bonus!) 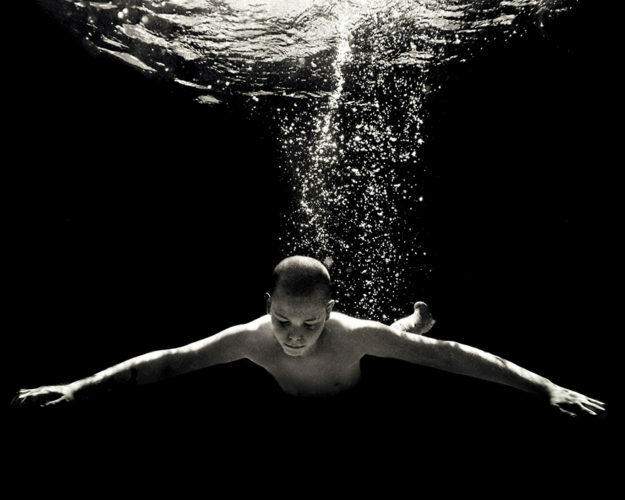 his style on underwater and dream-inspired images.